These socks make me feel pretty. When I saw these knee socks on Shark Tank, I immediately knew I had to have them. 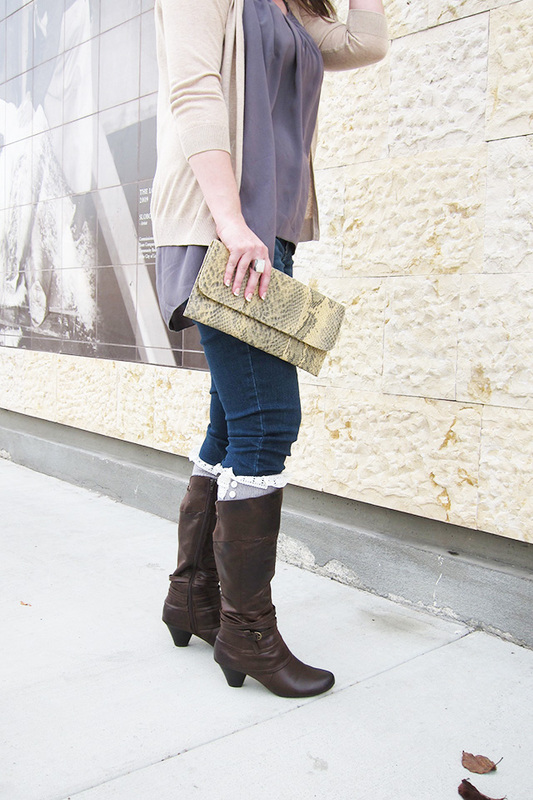 They’re such a fun way to dress up your winter boots. 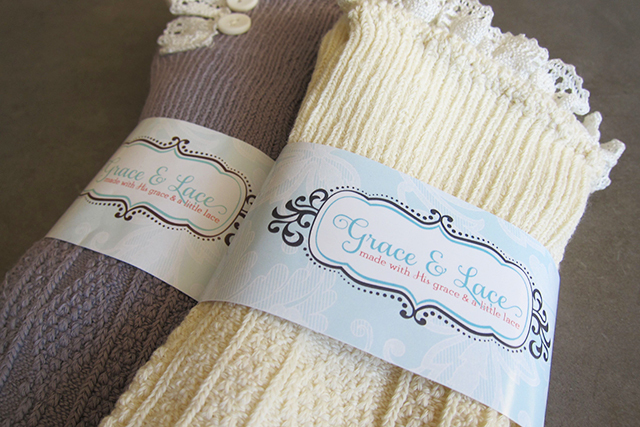 The lace and other details adorn the already pretty knit knee socks with a feminine playfulness. They are quite comfortable and stretchy enough to make putting them on a breeze. And of course, the best part is, you will get compliments everywhere you go. 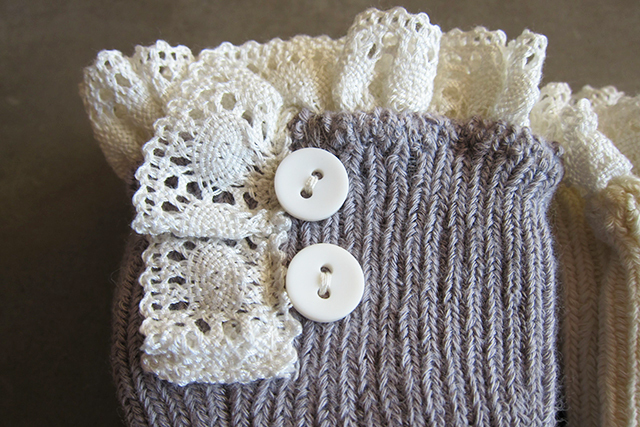 How can you resist these adorable buttons? 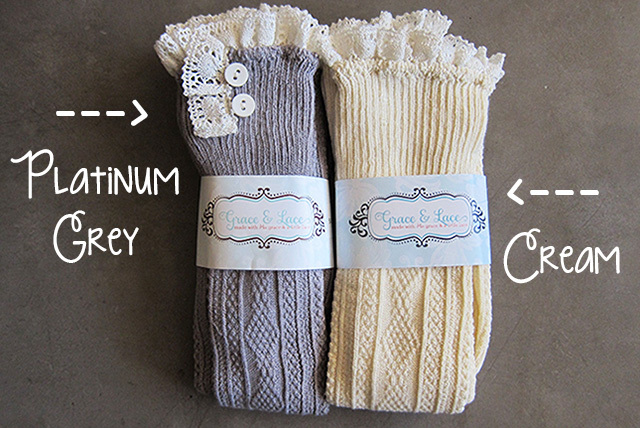 I got the boot socks in Milly Lace, but Grace & Lace also has other adorable knit fashions, including legwarmers, scarves and more. On top of all the ridiculously cute products, they also happen to be a very inspirational small company and proudly donate a portion of their proceeds to Angel House Rescue Orphanage in India. So yeah, it’s official…I’m in love. 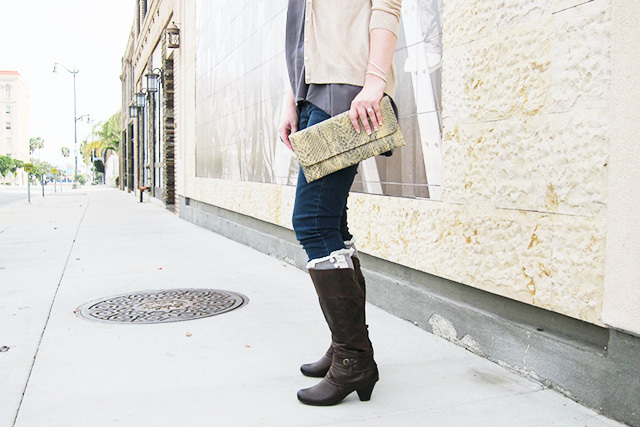 babydoll top: Monoreno; cardigan: Old Navy; clutch: Urban Expressions; eyeglasses: DKNY.